Knowle House takes an ordinary 1970’s detached house and reimagines it for the 21st century. 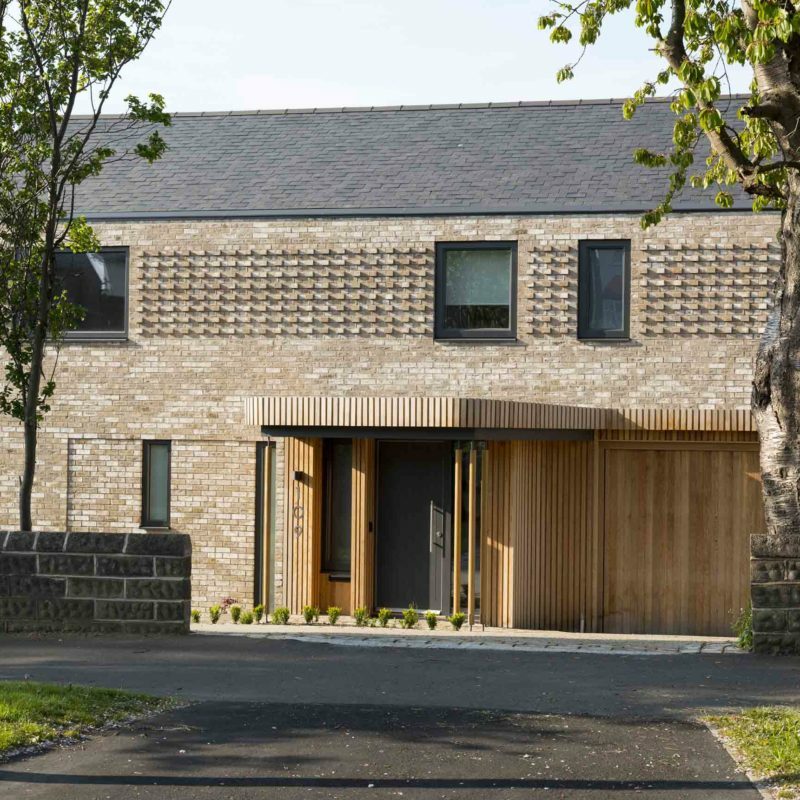 The project creates a family home that captures amazing views over North Sheffield towards Derbyshire and the Peak District. Whilst the street elevation presents a simple two storey brick house, the southern elevation reveals a three storey structure sat high over hanging gardens and a wide expanse of lawn. A new carefully detailed brick skin envelopes the existing building to present a new unified structure. Inside, the plan remains simple and is ordered around a simple stair case and three storey void. This adds a sense of drama that contrasts with the limited ceiling heights of the original house. The internal palette of materials is kept restrained, making the most of the expansive views out over the surrounding countryside. Additional insulation and triple glazed windows help to create a highly sustainable and energy efficient home. Much of the existing fabric has been retained to reduce construction site waste and reduce the consumption of new materials.